“This is an advertisement for SheSpeaks/St. Martins Press”. I have always had a soft spot for historical fiction. My dad had me reading James A. Michener in my early teens to start learning Israel, Alaska and scores of places in between. It’s great to learn about history while having a juicy plot to cling to and to keep the pages turning. Like so many others I also have an affinity for 19th century England, as it’s the setting for so many of my favorite books and movies (including pretty much anything from Jane Austen). 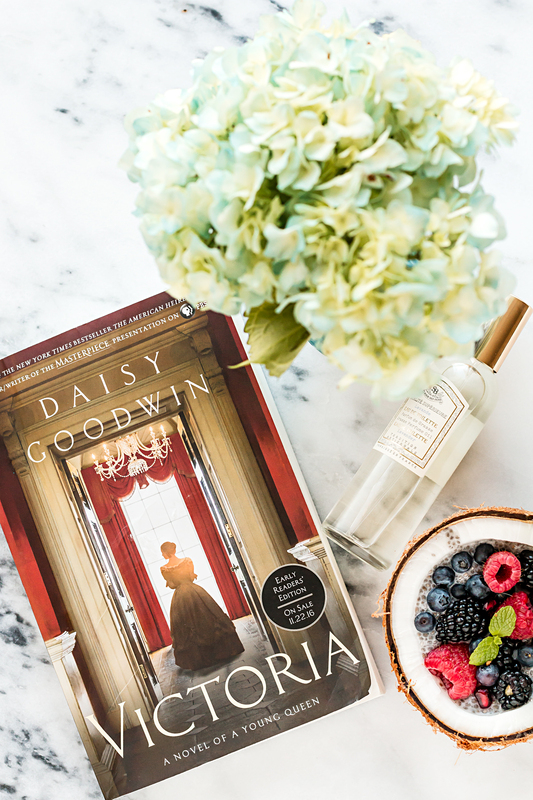 Author Daisy Goodwin brings these two together in a delicious new novel, Victoria. Queen Victoria wrote sixty two million words in her lifetime, of which the author delved into and passes along in her witty and fun style. I had no idea that Victoria ascended to power at the young age of eighteen. With her still being immature in some ways the book provides quite a ride in seeing Victoria’s perspective on such fascinating events, including her own coronation ceremony. The primary characters develop throughout the book, much like they did in Goodwin’s book The American Heiress. 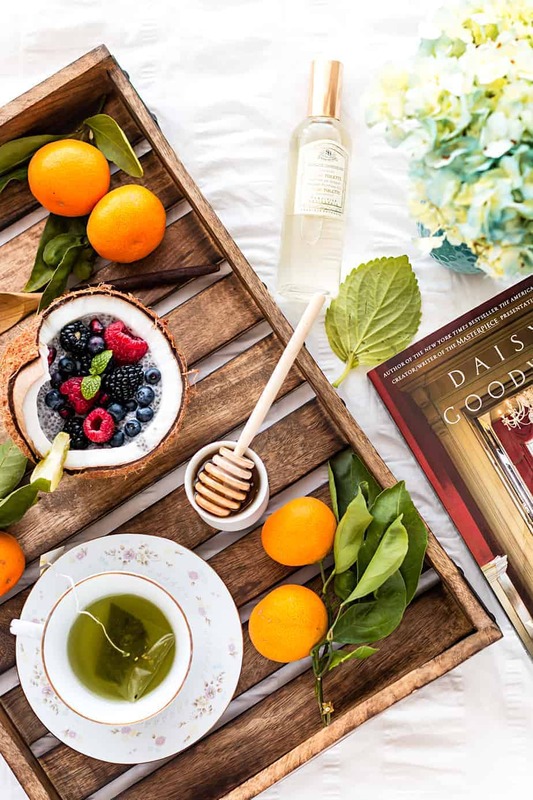 With my appreciation for these types of books I may be biased, but I think Daisy Goodwin can do no wrong these days, and I am looking forward to the next book she releases. Victoria helped me gain a sense of what it really must have been like to be in or around royalty. One part of the book I enjoyed was Victoria speaking of travelling in her Cinderalla-like carriage, and even her slight wave to the crowd incited such a roar from them that it nearly knocked her down. This is one of my daydream fantasies, to be a queen or princess… somebody pampered to no-end with of course the finest of goods in all the land. Well my car is no luxury carriage, and last time I checked my home was anything but castle-like. I do still try to sneak my own little royal pampering sessions into my busy schedule here and there. – I purchased some Lavender perfume while in Avignon, France. From the bottle’s design to the wonderful scent it transports me to a dreamy European palace every time I put it on. – On somewhat the same lines I try to have fresh flowers around the house as much as possible. Some of those we grow ourselves, while others I pick up at the local flower shops and farmer’s markets. The gardens of royalty are always fabulously sprawling and well-kept. They are also the backdrop for royal quarrels, passion and other dramatics. For better or for worse, my garden has much less going on. – Another thing that makes me feel like a queen (or at least a duchess) is to go all-out with my bubble-bath. This really only happens a few times a year but is my ultimate (self) pampering session with bubbles in the tub and bubbly in-hand. In addition to the champagne and bubble bath I also have my bath salts, music and most importantly, privacy! – The last and most important royal ritual involves my daughter. I always thought she’d turn out to be a tomboy, but from a very early age she has gravitated towards anything and everything girly-girl. Basically if it’s pink, she wants it. She and I will get dolled-up for a mother-daughter date and go to a fabulous dessert bar here in the trendy part of town. We may do something before-hand, but the highlight of the day is always getting the decadent cakes and other delights from this extraordinary establishment. Those all sound like good ideas! I would love to start getting fresh flowers for my home, too. Most of my house is still a mess because we’re in the middle of renovating a century old house, though! You end got quite the breakfast in bed or snack anytime spread there! I love it. I didn’t know either that queen Victoria wrote so many words and bargain her reign at such a young age. It’s been interesting seeing the Victoria movie promos and living in England its one of the things I had to learn about in school. Loving your beautiful rituals. princess is my dream job 😉 I LOVE your photography! I was able to read this book too, and it was a real page turner! I love reading about the royals even if some of it is fictional. Historical fiction is one of my favorite reading genres. I will have to add this to my reading list, I just bought a book I read a review of on another blog site. I can’t wait to read this. I have heard really good things about Victoria! I need to read it! I also like historical fiction and love all the ways you treat yourself like a queen. I love that you include your daughter because it is important that our daughters learn they are worth something. I’m a huge fan of bubble-baths too! 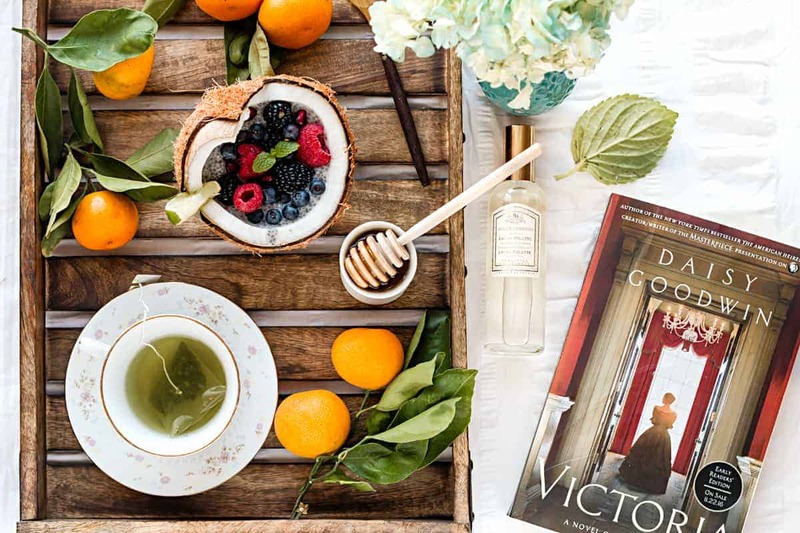 I’m watching The Crown on Netflix and love it, so I’ll add Victoria to my reading list too! Oooo now this looks like one awesome read!!!!! I need to get my hands on a copy of this!!! I have got to get this book. I have heard so many great things abut it just last week alone. I love reading and watching about royalties especially princesses and queens that have fought against the tide to earn their countrymen’s respect and loyalty. This sounds like a great book.